Jonathan Harker, the solicitor is making this trip from England to Transylvania to Count Dracula. This chapter describes the eerie feeling he gets when as he sees the Dracula’s house. The uncanny sensations continue as he enters Count Dracula’s home. 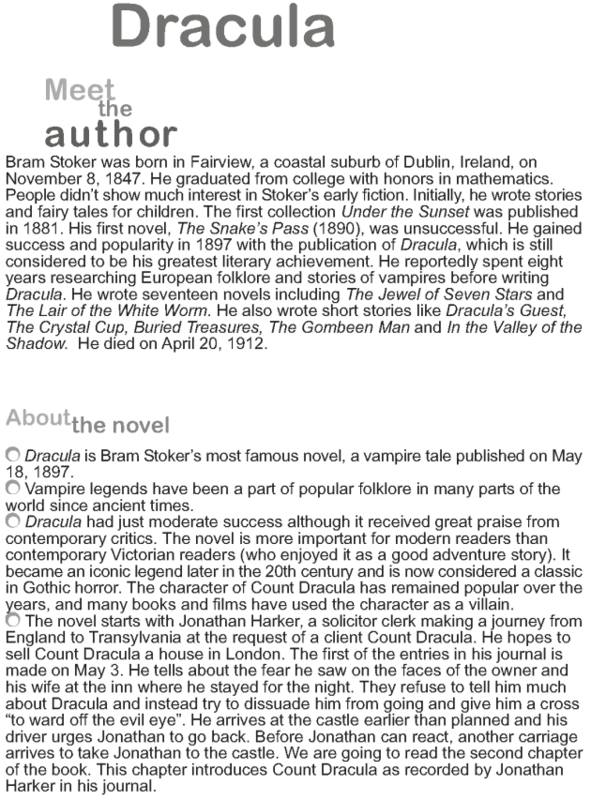 Let us read this story, Dracula by Bram Stoker.